If you’re looking for a page-turning description of what it used to be like to travel and eat in Vietnam or Cambodia as a hungry and curious white American dude back in the day, then Anthony Bourdain’s 2001-published A Cook’s Tour is the book for you. Already established as an author thanks to his smash hit Kitchen Confidential, Bourdain convinced an editor to next let him wander the world searching for the perfect meal. Bourdain refreshingly admits to selling out by having a TV crew follow him around, noting that when he’s writing about being scared and lonely, there’s a crew in another hotel room down the hall. The Snow Leopard this is not, but at least it’s not pretending otherwise. Nestled between accounts of eating and adventuring in places as far flung as Portugal, California and Morocco, are Bourdain’s descriptions of eating his way around pockets of Vietnam (Saigon, the Mekong Delta, Nha Trang) and Cambodia (Angkor Wat, Pailin, Battambang). 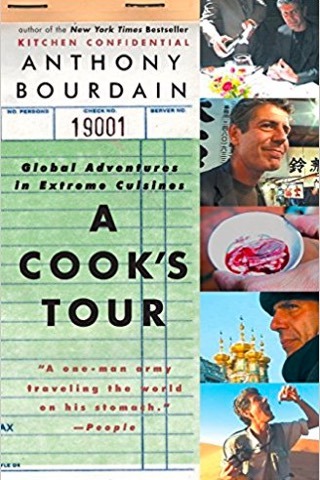 Bourdain’s best book, we reckon, easily remains Kitchen Confidential, but for Southeast Asia travellers interested in the experiences of yesteryear, A Cook’s Tour is a breezy read that successfully captures the vibe of the late 1990s when he was on the road. And it’s a reminder, in this time of slick listicles and Instagrammable restaurant interiors, that the best bits of a trip are in fact when you just go off-piste, meet people, open yourself up to experiences and try something new (stinky or otherwise). 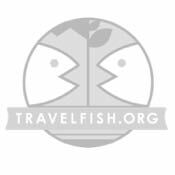 Bourdain taught a lot of people the value in engaging with other cultures, and it remains worth remembering that travel can be approached with humility and can be an education.